When asked about the meetings by CNN’s Wolf Blitzer, Ellison dodged the question and wouldn’t deny visiting Farrakhan in his hotel room. Carson has also declined to challenge Farrakhan’s account of that meeting. The Congressional Black Caucus (CBC) held a meeting with Farrakhan in 2005 where then Democratic Sen. Barack Obama of Illinois was photographed smiling with Farrakhan. 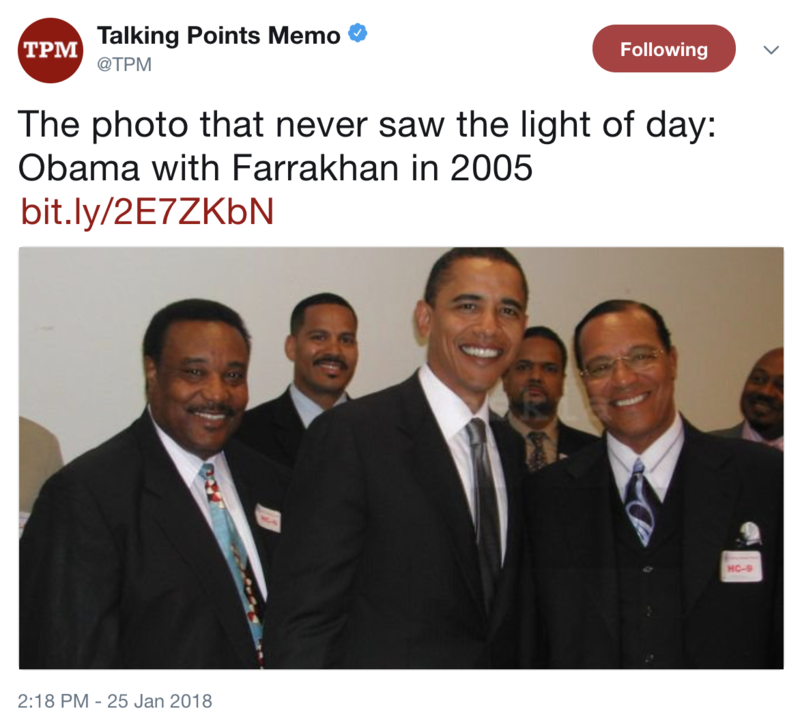 The photographer, who worked for a Nation of Islam publication, said he suppressed the photo for 13 years at the request of CBC Democrats who wanted to protect Obama’s presidential aspirations. He released the photo in January. Twenty-one current CBC members were part of the caucus in 2005 when Farrakhan attended a CBC meeting. TheDC reached out to all 21 members’ offices to ask if they were willing to denounce Farrakhan. None would.